Brick and mortar stores still account for the vast majority of retail sales, and shoppers often make decisions while standing at the retail shelf. Issues such as out-of-stocks, product placement, and packaging similarities can make choosing products challenging for consumers. As such, consumer packaged goods (CPG) companies invest hundreds of millions on proper retail execution as display incompliance can mean lost sales. 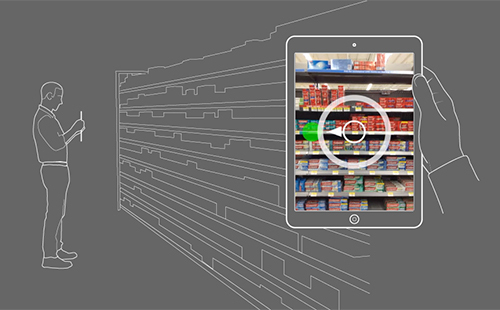 Our machine learning technology enables the accurate, automated analysis of shelf conditions for planogram compliance or long term analytics. 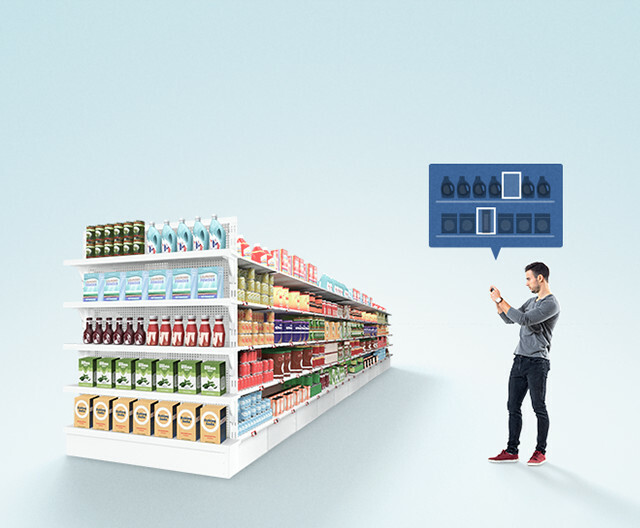 This helps retailers and brands make better business decisions around product placement and packaging by understanding metrics like share of shelf. Not only can this ensure the necessary corrective actions are taken at the shelf to comply with plans but also provide a superior shopper experience and lead to more revenue. Ricoh has developed a unified, full-stack solution with mobile, cloud, and web components to integrate into existing salesforce automation and merchandising solutions. 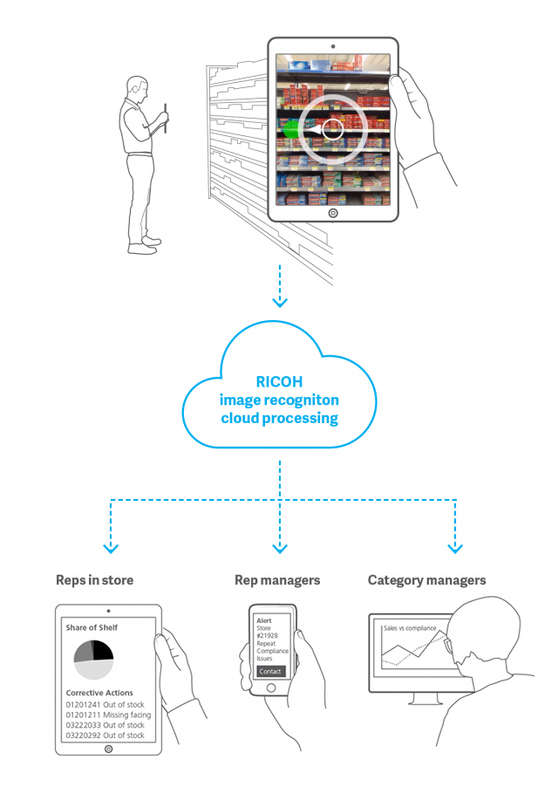 The Ricoh Retail Intelligence solution includes easy mobile capture of the shelf, sophisticated image recognition, a complete product management system, and product onboarding services. With an established history as an industry leader in imaging, Ricoh continues to provide solutions for the retail industry to improve the efficiency and profitability of our customers.